- FREE shipping - FREE shipping on ALL items! *NOTE: we cannot be responsible for cash in the mail. Karate buffs from 5 to 65 love these - we sell a ton of them! Great for an office wall, kid's room, or the front porch! A BIG 24" wide by 32" long. Lightweight and sturdy - poly/cotton. .......Your Karate person will really love it! Makes a nice gift anytime. SEND a $3 Money Order or cash* and a COPY of this ad to: Bob Bachman, P.O. Box 243, Olyphant PA 18447. Own a piece of history! 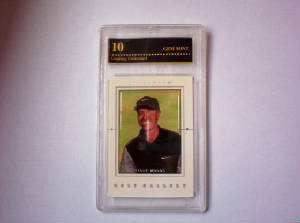 Only $5: 1 Tiger Woods Card, graded, in plastic case! All graded 8, 9, 10 - by: PSA, BECKETT, BGS, PGI, GEM ELITE, IGS, PTG, LEGENDS SPORTS, PRO, USA SPORTS CARDS - some Near Mint to Mint up to GEM MINT 10, in protective plastic case! SEND a $5 money order or cash* to: Bob Bachman,P.O.Box 243, Olyphant PA 18447. Fred Couples, David Duval, Tim Herron, Colin Montgomery, Mark O’Meara, Craig Stadler, Justin Leonard, Padraig Harrington, Tom Lehman, Nick Price, Nick Faldo, Curtis Strange, Brad Faxon, Ian Woosnam, John Daly, Payne Stewart and more. NOTE: we have stated - "maybe" and "possibly" and "or" because this is a random selection BUT you are GUARANTEED to receive one or some of the cards mentioned here. All in new condition some would grade mint, near mint to mint or even GEM! 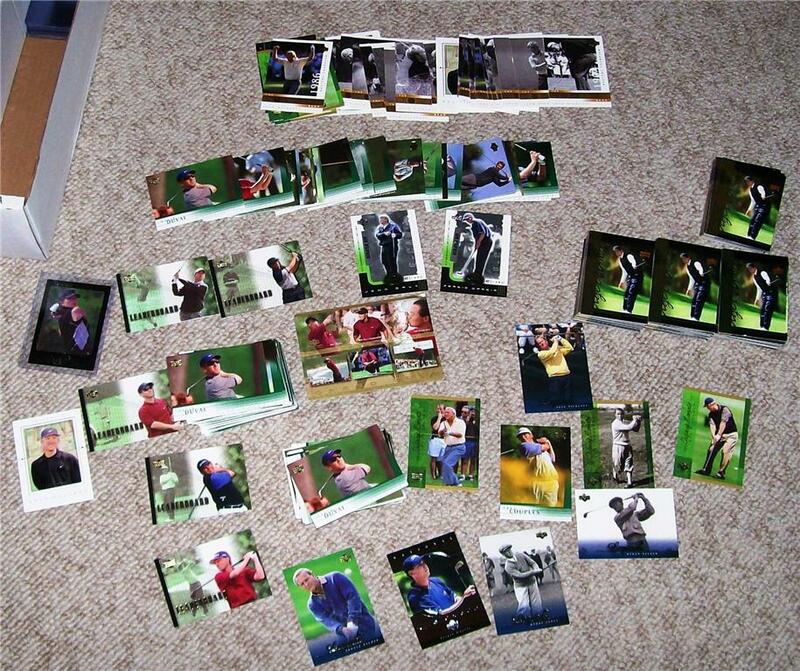 These are all new cards...they are not graded and not in a plastic case like the Tiger Woods cards on the previous page. They will be well padded for shipping...you or your Golfing Fan are sure to love them! Just a few pictures below of some of the players you will be receiving.......! SEND a $5 Money Order or cash* and a COPY of this ad to: Bob Bachman, P.O. Box 243, Olyphant PA 18447.